On the surface, not much seems to have changed since Russia-sponsored separatists seized parts of eastern Ukraine three years ago. Fighting has flared up intermittently, but the front line has remained effectively frozen and efforts to find a diplomatic solution have reached a standstill, according to the Financial Times (FT). Yet this is far from being the whole story. While the military aspects of the conflict have dominated the headlines, the real battle for Ukraine's future has always been elsewhere, FT reported. It rests on the ability of the country to restore stability and prosperity even as its territorial integrity is being brutally compromised. On this measure, Ukraine is beginning to make real progress. Russia's intervention was primarily conceived as a form of economic warfare. The aim was not to capture land but to weaken Ukraine and turn it into something akin to a failed state. In this, it was initially successful. At war with it largest trading partner and separated from many of its most productive industrial assets in the east, Ukraine was forced to the brink of economic collapse. The hryvnia lost about 70 percent of its value against the dollar, inflation spiked at 60 per cent and the combined fiscal deficit (including the state budget and the state energy company, Naftogaz) ballooned to more than 10 percent of GDP. The economy contracted by 6.6 percent in 2014 and a further 9.8 per cent in 2016, a more severe downturn than the one experienced by Greece. Things look very different three years on. Macroeconomic stability has been restored and Ukraine appears to be on the road to recovery. A more stable exchange rate has helped to bring inflation under control (down to 12.4 percent last year and a projected 6 percent next year). Output is now increasing for the first time since 2012, with growth of 2 percent last year expected to rise to 2.8 percent this year and more than 3 percent in 2018. Renewed growth and lower inflation have, in turn, allowed battered living standards to start recovering. Real wages increased by 11.6 percent in 2016. The Ukrainian government has also set out a path to long-term fiscal sustainability through a mix of spending cuts and tax reform. A budget deficit of 2.2 per cent last year was comfortably beneath the 3.7 percent ceiling set by the IMF. Although the deficit is due to widen to 3.1 percent this year, the increase is largely because of cuts in payroll social security taxes needed to reduce labor costs and stimulate the economy. An improved and simplified tax code, along with the rise in economic activity, is increasing the contributions of income tax and VAT to national revenues. Naftogaz is now in surplus. Read alsoEBA: Ukraine's investment attractiveness at its peak in six years (Infographics)The next big challenge is reform of an unsustainable pension system that accounts for more than a quarter of public spending and has been described by the World Bank as "a major fiscal vulnerability". A plan drawn up by finance minister Oleksandr Danyliuk is currently before the Rada and aims to bring costs into line with revenues by tightening eligibility, broadening the base of contributions and raising the effective retirement age. With the pension deficit currently in excess of 6 per cent of GDP, changes are essential to meet the government's goal of reducing the overall budget deficit to 2 percent by 2020. None of the progress that has been made so far would have been possible without international financial support, primarily in the form of a $17.5bn IMF loan facility. The fact that Ukraine has managed to unlock four tranches of that funding, totaling $8.38bn, is an achievement in itself. Past failure to reform meant that, until now, no Ukrainian government had succeeded in securing more than a single tranche of IMF funding. The current administration deserves credit for embracing unpopular but necessary reforms that its predecessors ducked, such as removing energy subsidies that fostered inefficiency and corruption. It has also earned praise for the speed with which it acted to head off a major financial threat by nationalizing PrivatBank, Ukraine's biggest lender, after it became insolvent in December. 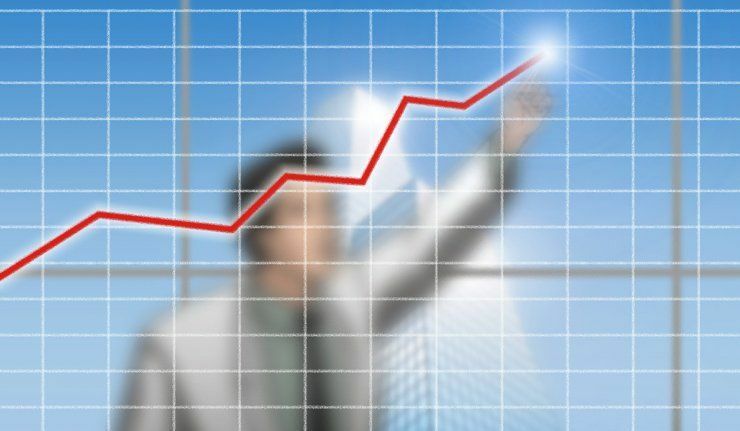 Read alsoRetail trade in Ukraine grows by 7.1% in five monthsThe big test of these changes is how they affect investor sentiment and enable Ukraine to attract badly needed foreign capital. FDI flows, which came to a standstill with the onset of war, have resumed, albeit tentatively. While much of this money is linked to the recapitalization of the banking system, there have also been significant new foreign investments in export-oriented production, particularly in western Ukraine. The new free trade agreement with the EU, combined with proximity to the European market, creates an opportunity for Ukraine to become an integral part of the continental supply chain, building up new centers of economic production to replace lost capacity in the east. Another important milestone is likely to be achieved this year when Ukraine is expected to return to the sovereign debt market with its first new bond issue since 2013. At the time of Ukraine's debt restructuring deal in 2015, the prospect seemed a distant one. But the IMF program always envisaged that Ukraine would be ready to return to the market in 2017 and there are signs of investor appetite. Achieving these outcomes will require Ukraine to maintain and deepen its reform efforts. In addition to sorting out the pensions system, the next frontier is land reform where the government hopes that liberalization will bring higher investment and new dynamism to the agricultural sector. Read alsoUkraine-EU trade turnover boosts by almost 22% in Q1 2017 This week the government delayed presenting a reform bill to parliament where populist opposition politicians are trying to obstruct changes that are needed before the next tranche of IMF funding can be released. The moment of truth on this will come in the autumn. As always, further steps need to be taken to root out corruption, which remains a greater impediment to Ukraine's progress than any scheme devised by the Kremlin. A lot of good work has already been done but perceptions of corruption remain stubbornly high. Changing that is still by far Ukraine's most important challenge. It is becoming increasingly apparent that Russian President Vladimir Putin's strategy of trying to enfeeble Ukraine and raise the price of western support has failed as the country continues to make progress towards the goal of economic self-sufficiency. On the contrary, it is the breakaway entities in eastern Ukraine that look likely to become an exorbitant and unproductive burden on Moscow. It is this dynamic, not the balance of military power, that offers Ukraine the best hope of restoring its territorial integrity. Reform is, and always has been, its most potent weapon.